St. Bernard’s College has a wide range of community stakeholders. These stakeholders enrich the College through their various roles and activities. The Board of Trustees is charged with providing the strategic and governance function vital for future development and enhancement of the Marist charism, stewardship and financial management of the College. The College has a dynamic and well established Parents, Friends and Supporters (PFS) group who work to support the students and staff of the College. The Marist Community Development Trust manages donations to the College and provides strong financial for the College’s Special Character. 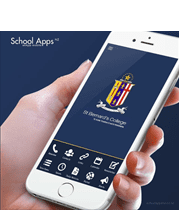 The St Bernard’s College Old Boys’ Association has recently reformed and has an active executive supporting students’ welfare and in particular by providing Marist Community Life Start Scholarships to our Senior students in their final year.